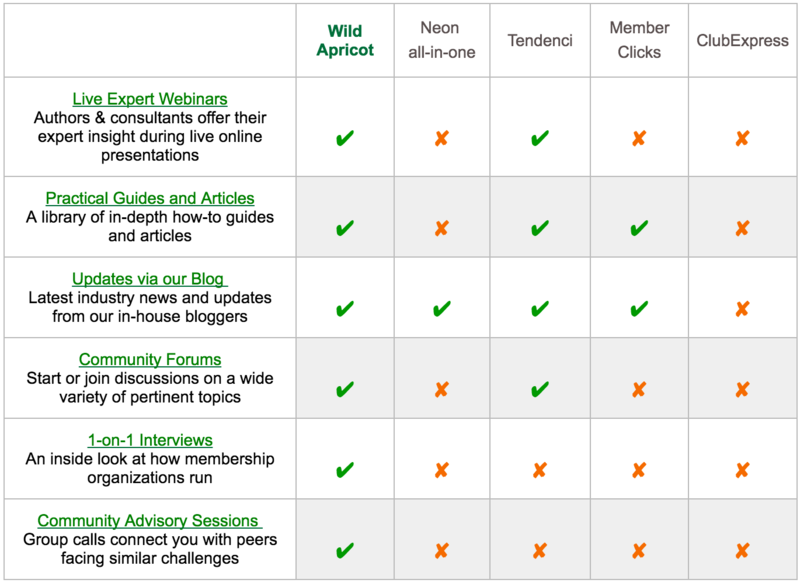 Wild Apricot Ranked #1 Membership Management Software for 3 years in a Row! 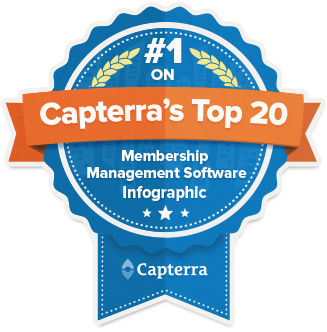 Wild Apricot is proud to once again rank #1 among Capterra’s Top Membership Management Software. 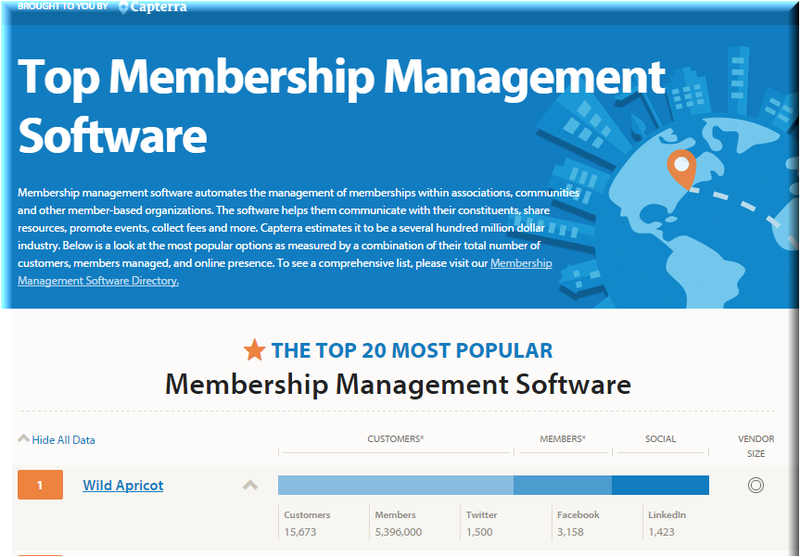 Each year Capterra (a free resource that helps people find and compare business software) conducts a review to determine the top 20 membership management software options and publishes these in an infographic: Top Membership Management Software. We’re thrilled that once again (for 3 years running), Wild Apricot has continued to hold the first-place spot. What is the criteria for “membership management software”? How does Capterra rank the software solutions? Social presence: Comprised of six factors—Twitter followers, Facebook Company Page Likes, LinkedIn Company Page followers, Google+ Company followers, Klout score, and # of Capterra reviews. The three components are not weighted equally, though. Number of customers and users each account for 40% of the score, while social indicators only account for 20%. What Does Being #1 Really Mean? Of course, it’s great to be recognized as a market leader, but what does this ranking really mean to our customers and potential users? 1. Our software is always improving. The long-awaited Version 5, delivering a more modern and powerful Website Builder that enables you to create beautiful, customized websites. Massively-requested mobile apps on iPhone and Android that allow you to manage your event check-ins, payments and more. New themes to make your website mobile-friendly so that your visitors and members can do things like sign up for memberships and register for events from mobile devices. API functionality to easily connect your accounts to any other systems you might use. Over the last 9 years, we've put out 62 major releases! We are scheduled to release many more in 2015, each of which addresses requests by thousands of our clients (you!). 2. We are still the most affordable membership management solution in the marketplace. 3. We provide much more than just software. a series of monthly Expert Webinars presented by leading industry experts who provide powerful, game-changing coaching and advice. a Membership Advisory Group offering monthly calls that connect you with your peers to discuss the most pressing issues that membership managers, board members and volunteers are facing. our Knowledge wiki or "Wikipedia for Membership Organizations" – with over 120 articles with key insights and best practices from around the world of membership and written by some of the most renowned guest bloggers in the industry. the Wild Apricot Podcast – offering episodes with insight on board meetings, recruiting and engaging members, and more that you can listen to while on the go, whenever you want. 4. Expect us to stay at #1. With over 15,000 client organizations, 55,000 administrators and 3 million members, we are in a unique position to be the world's #1 guide for small membership organizations to be successful. We’re proud to continue displaying the "#1 on Capterra’s Top 20" badge of honor, and we plan to continue providing best-in-class value to our customers in order to maintain our #1 ranking. Want more from Capterra about Wild Apricot? Beyond being ranked #1, we also recognize that peer recommendations from those actually using Wild Apricot are very powerful. We encourage you to read these unsolicited reviews about Wild Apricot on Capterra.